If you own a Rega turntable you are probably aware of the many third party items that can be purchased to replace stock parts on your turntable in order to enhance its performance. There are platters and sub-platters, kits to rewire the tonearm, counter balance weights, motors, speed controllers and a whole variety of tonearm upgrades. 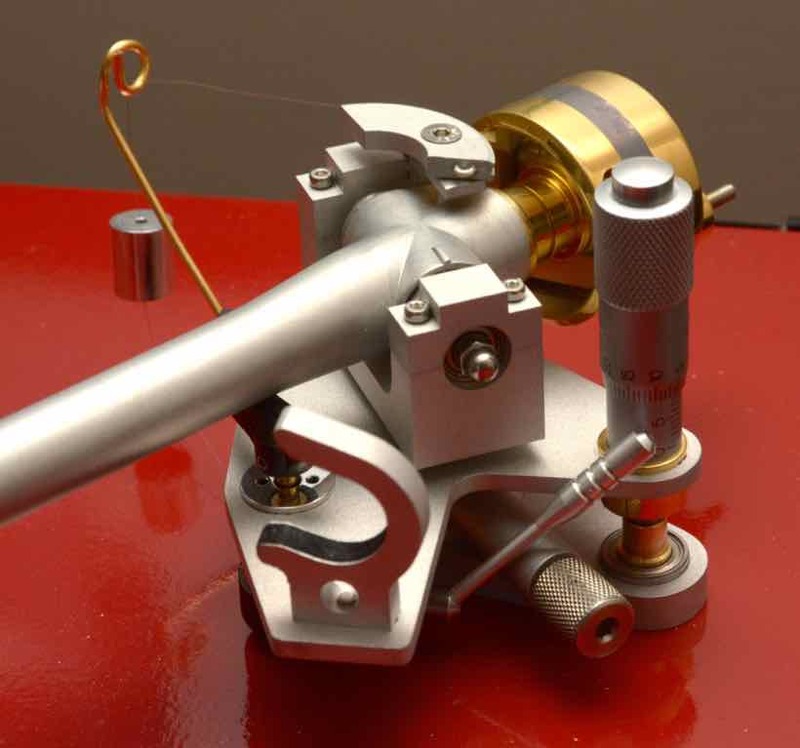 Audiomods is a company from the UK who’s specialties include tonearm upgrade kits for the Rega style tonearms, to entire tonearm assemblies, which is the option I chose. They offer two tonearms, the “Classic” (an enhanced version of the Series 3, their original offering) and the “Series 5”, their most recent addition. Both use Rega Arm tubes in their assembly and that’s where any similarity to their Rega brethren ends. The bearing assemblies and counter weight were designed and engineered by Jeff Spall the man behind Audiomods. When placing an order for this arm, Jeff will request details about the turntable the arm is to be placed on and the cartridge used, since he treats every order as a custom fabrication. The counter weight is configured to your specific cartridge, the arm may be engineered specifically to shave of a little more weight if needed and if necessary head-shell weights will be supplied to increase effective mass. Even the type of RCA connector can be selected from a couple of options, or you can provide your own for installation. Once complete, the order generally takes 3-4 weeks to build and then another couple of weeks to go through the mail system, but it is worth the wait. Mine actually arrived a little earlier than anticipated, which is NOT the norm in today’s world. The arm is shipped in a wooden presentation box with your name and arm details. Inside the arm is securely held in place by the mounting hardware and the various parts like counter weight and anti-skating assembly are tightly packed and held in place with foam packing blocks. Mounting and setting the arm up was a breeze, thanks to great installation notes that are provided and a little cylindrical spacer that allows for precise setup of the VTA. You will see from the many photos on their web site that this arm has a very “engineered” appearance, due to the fact that the arm tube is the only part not fabricated from stock material and their finish is superb. I elected to go with the matte bead-blast finish, but on the “Classic” there is also a polished finish available. I also chose the polished brass counterweight, just to warm up the starkness of the silver and the micrometer VTA adjuster for extremely precise control, which nudged the price to just over $1000 and then there was some import handling charges and duty to be paid upon receipt, bringing the total to a tad over $1100. My cartridge is the Denon DL 103 moving coil with a brass shim epoxied to it, increasing the total weight to 14 grams. For this, Jeff supplied the heavier counter weight. He also provided a spacer to raise the arm 6 mm should it be required. Well, even though it replaced a Rega RB250 with a similar mass, everything about this arm just seems smoother and lighter, not to mention that it looks so much better than any Rega offering. Audible differences however were not immediately apparent, but crept up on me as I selected different albums. OK, I can hear some of you now asking: how come a component in this price range not yield more noticeable improvements? Well, to start with, my original RB250 already had the Cardas rewire upgrade, which in itself brought a significant increase in details. The Silver Litz wire should have improved on this and it did to some extent. There were improvements in the audio image, improvements to the upper frequency range and pretty good control in the lower frequencies. So, was this arm a red herring? Not so fast! Any component inserted into a sound system with other components that do not match or exceed its own resolution capabilities, will only perform up to the abilities of those components in the audio path. Now, even before the arm arrived I had been contemplating the replacement of my trusty Cambridge Audio 640p phono stage with its replacement, the 651p and now seemed like a good time to proceed, so I popped down to my local store and purchased one. Some may question my sanity in selecting the Cambridge Audio 651p for use with an arm of this calibre, but in my defence, I use it with a custom power supply that elevates the performance of this $250 phono stage to units costing many times more. Well, the improvements now being appreciated are indicative of some extremely exquisite engineering in a tone arm of premium quality. First, the soundstage is enormous - Is This Love on Bob Marley’s Legend album exceeds the boundaries of my listening room by a considerable margin. This is also apparent on many of the classical recordings I own. Also the individual instrument placement is amazingly precise. Next, the smoothness of instruments, especially strings, brings an almost tube-like quality to the music that make them sound so much more enjoyable. The fine details that are now more noticeable, allows the natural timber of each instrument to be clearly heard. An excellent album to showcase this is the classic from Deutsche Grammaphon, Cello Concertos of Vivaldi, Tartini and Boccherini, featuring Mstislav Rostropovich, where his cello seems to breath as he plays. And down at the bottom end is a new depth never before appreciated on my system. Tocata Terza In A as recorded on the Das Mikrofon album by Tacet has some earth moving lows that can easily rattle windows, even when played at modest levels. The bass control is simply superb. Each time I listen, the subtleties the “Classic” is able to extract from vinyl has me stopping dead in my tracks just to listen. I’ve lost count of the number of times I have looked up from reading while I listen, to find my foot bobbing up and down in time to the music, as though it has a mind of its own. Who knew I had feet that appreciated music. For those with older recordings in their collections, like the mono recordings I own, circa 1958-1964, this arm treats them with a “respect” I thought only possible with a mono cartridge setup. But the really surprising aspect of the mono recordings I’ve listened to so far is the depth to the soundstage, which took me very much by surprise, since up to now they had sounded flat. So, some might ask — is it the arm that sounds so good or the phono stage? Well, without the superb engineering in this arm I believe the resulting audio would be far less engaging, after all the phono stage can only amplify the signal provided. The signal, as provided by the cartridge, is totally dependent on stability of the arm, since in a perfect world the cartridge would perform at its best if the body were to remain stationary and perfectly aligned directly over the groove. Hey, guess what the “Classic” does? A signal this dynamic, detailed and controlled is due to the stability, precision and ultra smooth operation of the Audiomods “Classic” Tonearm. Don’t be fooled into thinking the “Classic” is an upgrade for a Rega tonearm. Yes - it uses the Rega arm tube, but that is the lone similarity. 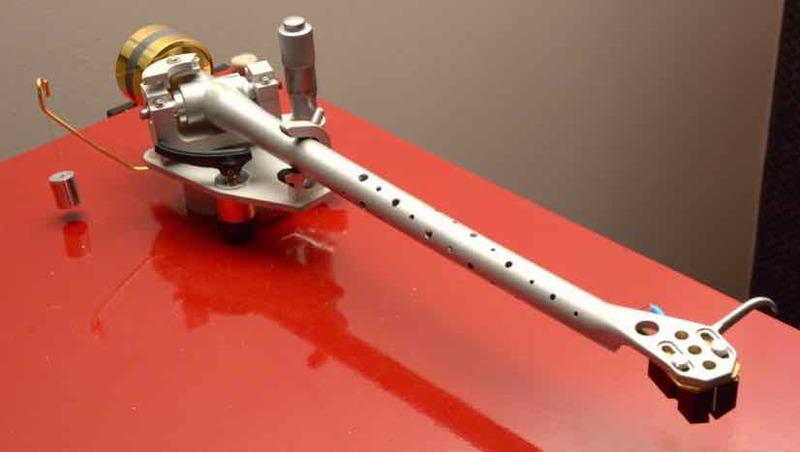 There are some very interesting tonearm designs out there and some appear to be very complex or exotic. The “Classic” however, is all about simplicity of operation and relies on great design, superb engineering and extremely high quality components to get the job done. As for longevity - It’s engineered to last and will probably be the last tonearm I buy, since it will accommodate any future cartridges I purchase due to the flexible counterweight configuration design. On my modest system, this arm has elevated my audio experience to a whole new level of listening pleasure, but I am certain that this arm is capable of achieving significantly more on systems with finer resolution capabilities. Read the reviews on the Audiomods Web Site and you’ll see that most reviewers put the “Classic” in the same league as arms many times its price! WARNING: Just make sure the rest of your components are as competent performers as the Audiomods “Classic” Tonearm! This is a superb phono stage whose performance can easily be augmented with a quality power cable. And adding a pair of KLE Innovations gZero20 interconnects certainly elevated the resolution capability of this component and cable combination to levels I thought only possible from a much more expensive analogue rig. the improvements here were across the board - faster dynamics, wider and deeper image, extension of both upper and lower frequency ranges, deeper and better controlled bass register. Granted the RCA and the phono stage upgrades are not the only contributing factor - the incredibly well-engineered Audiomods tone-arm itself is responsible for many of the improvements now being observed. This is an exceptional tone-arm, whose true capabilities probably extend way beyond the resolution capabilities of my modestly priced audio system!